The courage to speak out! Seen any lately? I have. But only from one man – Newt Gingrich. From Republicans/Conservatives in Congress, all I’ve heard is a rehash of what problems we have, and that “we must fix them.” I want to hear anger from our Congress. I want them to GET MAD! Why aren’t they ENRAGED?? When they are interviewed on television, they’re so quiet, so polite, so placid. They don’t get enraged at what is happening within this country, and I get the impression that they don’t care! I get the impression that they agree with Obama and his radical Liberals who disrespect the rules of Congress and our Government traditions, and whose aim in life is to bring down America! “mark well, observe particularly,” c.1721, from L. nota, second person sing. imper. of notare “to mark” + bene “well” (see bene-). 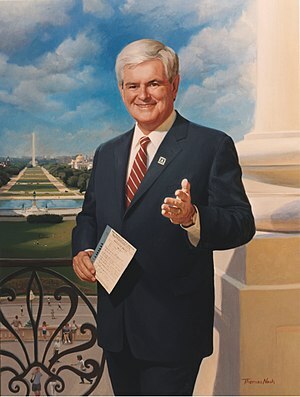 This entry was posted in Today's World: America, Government, & Politics and tagged 2012, Barack Obama, Congress, Gingrich, Health Insurance, Newt, Newt Gingrich, Obama, President, radicals, United States Congress. Bookmark the permalink.